The spokeswoman of President Trump acknowledged last Tuesday that the President "weighed in" in the drafting of a misleading statement released by Donald Trump Jr., "just like how any father would." The statement released was about the meeting of Trump Jr. and Trump's campaign officials with Russians last year. By the acknowledgment, Sarah Huckabee Sanders, the Press Secretary of the White House, seems to be giving a confirmation regarding the gist of Washington Post's story that was published just this week. 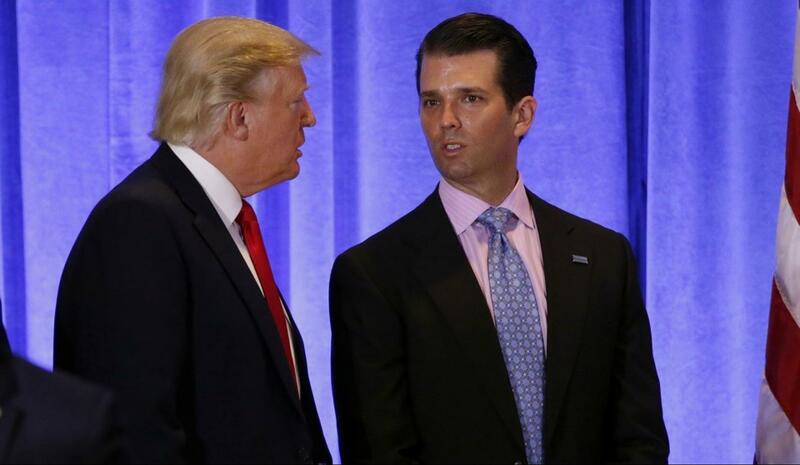 In the article, it was said that Trump dictated a statement for Trump Jr. to use while aboard one of the Air Force One planes, overruling Trump's advisors as they wanted a more candid and fuller explanation about the meeting that happened in June 2016 at the Trump Tower. Also, Sanders’ comments refuted Jay Sekulow, Trump’s lawyer and a frequent spokesman, as he said just weeks ago that the President had made sure to not get involved in any statement Trump Jr. would release. 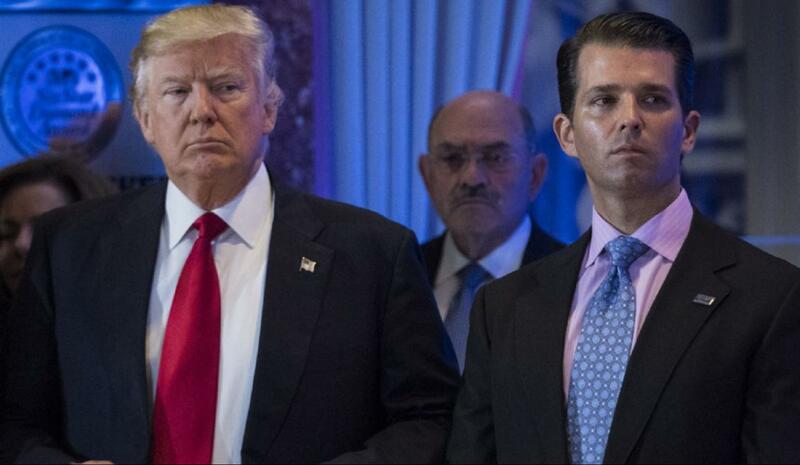 Exactly 4 days after the President’s son issued his inaccurate statement about the meeting with Russians, Pres. Trump was interviewed by reporters and he said he’s mostly kept in the dark when it comes to the issue. He also said he assumes his son’s lawyers are the ones writing the statements he made or will make in the future. "I only heard the issue approximately 2 days ago," said Pres. Trump. He also praised his son for his "transparency." Trump Jr.'s initial statement was reportedly written on one of the President’s planes. The statement said the meeting with the Russian lawyer was only meant to discuss a program that revolved around the adoption of children from Russia. 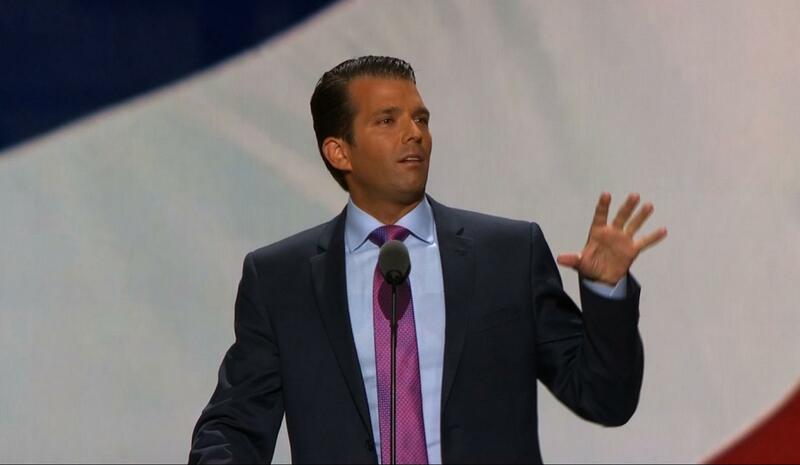 Trump Jr. also said that in the meeting nothing was discussed about the presidential campaign. Last Tuesday, Sanders insisted that Trump Jr's issued statement was true and that not a single thing was inaccurate in it. Yet, Trump Jr's own emails revealed the contrary last month. It’s important to note that Trump Jr. was only forced to release his emails because New York Times got a hold of them and planned to allow the public to see. The emails revealed that the meeting with a Russian lawyer did not revolve around the topic of children adoption, proving that he lied in his initial statement. The meeting, instead, was about information and official documents which would be useful for Donald Trump to incriminate Hillary Clinton. According to Stanford Law School criminal law professor, David Sklansky, if what Sanders said is accurate, the President did not just draft a statement that was released by his son, but he also allowed Sekulow, his lawyer, to deny the fact that he helped draft a false statement. Sklansky said that in general, lying is not criminal so it’s unlikely for the act to constitute obstruction of justice. Out of the 50 people charged in the scandal, 19 have pleaded not guilty to all charges leveled against them. The company, which is now valued at $800 billion, will not have to pay anything in federal taxes this year and this is not the first time this happens. Congress voted early this month to invoke the War Powers Resolution in an effort to stop the involvement of the US in the Yemeni civil war, but now Trump just vetoed the resoluttion. Bernard Arnault and Francois Pinault, the two richest people in the country, have been leading a fundraiser to rebuild the cathedral and the two have already raised millions of dollars. Boeing took a long time to admitt problems with their software that may have cause two air disasters. Opponents say the Electoral College has led to many un-democratic outcomes, and that’s why they think the majority of the population should vote who should be president. A monstrous fire nearly consumed the cathedral of Notre Dame, but firefighters managed to contain the flames and save the structure from total destruction. Uber officially files for an initial public offering, and this week interest parties had a sneak preview of the company's strategy moving forward. The plan is very similar to his 2017 Medicare for all proposals that failed to pass in the Senate. It seeks shifting all Americans to a government-run healthcare program.